Our Resurrect Priest deck list guide features the best Rise of Shadows deck list for Season 61 of Hearthstone (April 2019). Our Resurrect Priest guide also contains Mulligan advice, card combos and strategy tips. Resurrect Priest is a Hearthstone deck that's certainly popped up a fair bit in the past, but is now trying to make a comeback following the launch of the latest Rise of Shadows expansion. It makes use of all the cards within the Priest class that bring back minions from the dead, so that they return without the negative effects they would usually suffer from when played normally. This means you can exploit particularly high Health minions that would normally damage themselves through Battlecries and switch their Attack values to these bigger numbers to create fearsome creatures. In our Resurrect Priest guide, we've dug out one of the more promising deck lists you can make use of in the new meta, so you can take it out for a spin for yourself. We've also got some Mulligan advice for you, an outline of the general strategy involved in playing the deck, and finally a look at some of the core combos it contains. There are quite a few different versions of Resurrect Priest seeing play right now, but we think this is the strongest one you can take to the Hearthstone ladder this month. With Resurrect Priest your plan is to overwhelm your opponent by constantly bringing back your minions from the dead. Many of the creatures played in this list suffer negative consequences when you play them for the first time, such as damaging themselves, but resurrecting them ensures these harmful effects never trigger and you can get more value out of them. It’s especially good with cards like Witchwood Grizzly and Damaged Stegodon, as Priest can then use the classic Divine Spirit and Inner Fire combo to make ginormous minions that can eliminate opponents in a single turn. Early game: A simple game plan of board control and card draw awaits you in the early stages of playing Resurrect Priest. You have a couple of hard removal spells to deal with the most troublesome cards from your opponent, while Northshire Cleric can be used as a card draw engine if you find the right trades or buff it using Power Word: Shield. You can even borrow your opponent’s creatures and use them against them with Shadow Madness. Mid game: Some of the bigger minions in the deck start to come available as you enter the mid game. Look to drop the likes of Witchwood Grizzly and Damaged Stegodon onto the board on curve. Don’t fret too much about the Health they lose when you play them as it’s more important to get them in the pool of your dead creatures rather than seeing value from them immediately. That said, don’t just throw them out to die for no reason if you can find a trade or some damage from them. You’ll want to do that so your opponent doesn’t get too far ahead in the game as well. To help with that you have Mass Hysteria and Convincing Infiltrator. Both are useful for thinning out your opponent’s side of the board. Zilliax is also a handy comeback card as it can clear a minion and then remain on the board as an additional Taunt. Late game: Now your plan to start reviving your minions can be put into action. Catrina Muerte can bring one back each turn, though she’ll need to be protected if you want to get some extra value out of her. For the more immediate option, there’s Mass Resurrection on turn nine. Once you’ve brought some minions back from the dead, choose which you want to focus on with buffs. Something like Mosh’Ogg Enforcer can end up with 56 Attack if you apply both copies of Divine Spirit to it and follow that up with Inner Fire or Topsy Turvy. That should defeat most players in a single blow. 1. Go control heavy in the early game with your removal spells so they don’t put you too far behind. 2. With many low Attack minions in aggro decks you should find multiple ways to take full advantage of Shadow Madness. 3. In terms of big board removal, Mass Hysteria is your best bet for clearing out your opponent’s minions once they’ve gone sufficiently wide. 4. Witchwood Grizzly is an aggro deck’s worst nightmare. As they like to empty their hand quickly it’ll retain a lot of it’s Health meaning they will have to commit a lot just to take it down – and then you can resurrect it again! 5. You’d usually want to save Forbidden Words for a large threat, but you can use some leftover mana on the spell to take out a weaker but potentially bothersome early drop before it gets out of control. 1. With only Shadow Word: Death and Convincing Infiltrator as your hard removal, be sure to save them for your opponent’s most dangerous and biggest minions. 2. Spend more time in the early game looking for ways to draw extra cards using Northshire Cleric. 3. Try to get your opponent to use most of their hard removal before you start reviving minions en masse again. That way they’ll be out of options and leave you free to buff. 4. Forbidden Words can remove some of the big minions in control decks but ensure you’ve got enough Mana left over to cast it. 1. Northshire Cleric: A decent minion but what you really want it for is for the card draw potential. 2. Shadow Word: Pain: Basic early game removal tool. 3. Hench-Clan Shadequill: Comes with a substantial downside but you do get a lot of stats for the mana cost which can be very useful in the early stages. 4. Power Word: Shield: A useful buff to put on an early game drop such as Northshire Cleric that also cycles you a card. New to Resurrect Priest? The following combos should be at the back of your mind during every match! - Inner Fire and Divine Spirit are two extremely vital cards to this deck’s win condition. Use them on the biggest Health minions in the deck to create huge monstrosities that can wipe out your opponent’s life total in a single hit or two. - When any minion, including your opponent’s, is healed while Northshire Cleric is on the board you’ll draw a card from your deck. Try to get as much value out of this as possible by using Power Word: Shield to buff her or your other creatures. - You can use Archmage Vargoth to get an extra cast of your spells off at the end of the turn. Targets are random so do be careful not to hit yourself with removal or buff your opponent’s minions! 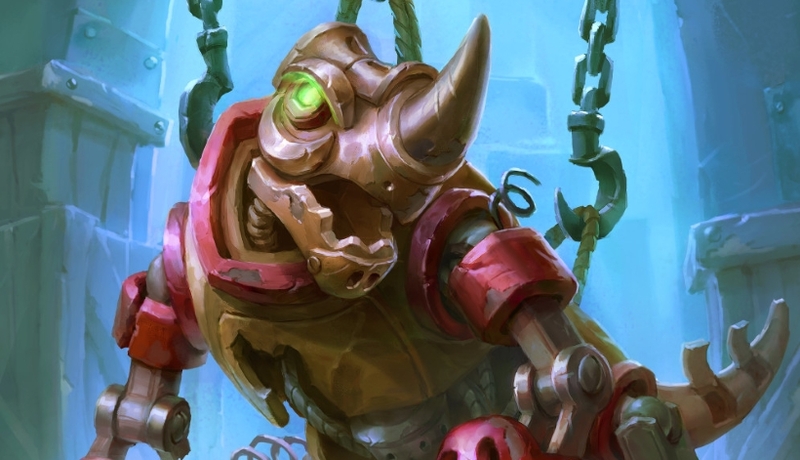 - When minions such as Witchwood Grizzly and Damaged Stegodon are brought back from the dead the negative Battlecry effects will be ignored which means they’ll have masses of Health for you to play with. - Try to keep a list of your minions that have died in the back of your mind so you know what to expect when you cast Mass Resurrection. Inner Fire: The vital second part of the Divine Spirit/Inner Fire combo. Use this to turn all of your high Health minions into damage dealing powerhouses that can one-shot most opponents. Works similarly to Topsy Turvy. Northshire Cleric: An important part of the deck for its card draw potential so you can find the key combo pieces needed to win the game more consistently. Divine Spirit: The first part of the Divine Spirit/Inner Fire combo. Use this first to give your minions silly amounts of Health that can then be swapped into Attack. Witchwood Grizzly: Can be a fairly big minion when played normally but when resurrected it won’t suffer the drawback from the Battlecry making it a perfect target for the deck’s finishing combo. Damaged Stegodon: This minion finds a spot in the deck for the exact same reason as Witchwood Grizzly. Once you avoid the awful Battlecry from a revive effect it works absurdly well with Divine Spirit and Inner Fire. Catrina Muerte: One of the ways to bring you minions back to life. If left unchecked by your opponent it can get some huge value each turn. Mosh’Ogg Enforcer: Another of the minions included in this deck because of its incredibly high Health value which can be exploited by Divine Spirit and Inner Fire. Mass Resurrection: Can offer some incredibly value if it brings back many of the high-cost drops that this deck runs and force your opponent to fight through them again. @charilaoscountas14 oh,and mind control instead of sylvanas. sunwalker instead.It's really fun to constantly raising from the dead these precious creatures. @BobbityBob Also, obviously those are Arcane Giants, not Golems. Apparently I can't think today. @BobbityBob Left out 1 Shadow Word Horror. I've been running this Rez Priest lately with success. Truthfully if you get a tough draw in the early stages then you're finished. I could see removing 1 or both Arcane Golems for more removal. It's just so satisfying to drop a cheap 8/8. @craigfleming26 Generally speaking I like to spam through games more or less on auto-pilot with something like Midrange Hunter until I'm 15-16, then play something a little more involved. That'll get you through the worst of the golden hero grinders / experimenters. Not that I get to ladder very high these days anyway, sadly. Between staying on top of the metagame and running the rest of the site I don't have a lot of time for high ranking! At the start of each season I find myself back at rank 19-20. 2/3 games I play in Ranked are against this deck, and it's really tiresome to constantly fight against all of that AOE, minions that won't die, and minions that die and then come back to life. Thankfully they're all gone by rank 15. @gabrielleandrodasilv You're welcome! I don't know if I've done it justice to be honest as it's really not my kind of deck and I found it a real slog to play and write. I've done my best though! Recently, I opened Herald Volazj in one pack, so I decided to include him in a resurrect deck, I could say that it's really incredible how he can support this deck, sometimes you can summon mini copies of Ragnaros, Sylvanas, Cairne and/or other minions on field, and then just to enjoy when resurrecting them. Not sure how competitive it could be, but it's really fun.